81% OFF this pass, deal ends 04/26/19 at 11:59PM. 81% OFF DEAL ENDS: 04/26/19 at 11:59PM. Buy Now, Use Anytime Within 12 Months. Whenever you're ready to start the fun, download our mobile app to activate the pass, and get access to all included attractions. Enjoy! Wondering how to make the most of your New York trip? We've got you covered! View the sample itinerary below and use it with Attraction Pass™! Day 1 of your adventure hits some of the most essential highlights. 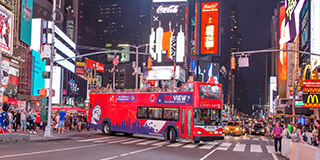 It includes a Downtown Tour of Manhattan, a breathtaking Statue of Liberty cruise, and an after-hours tour through New York’s glittering lights. 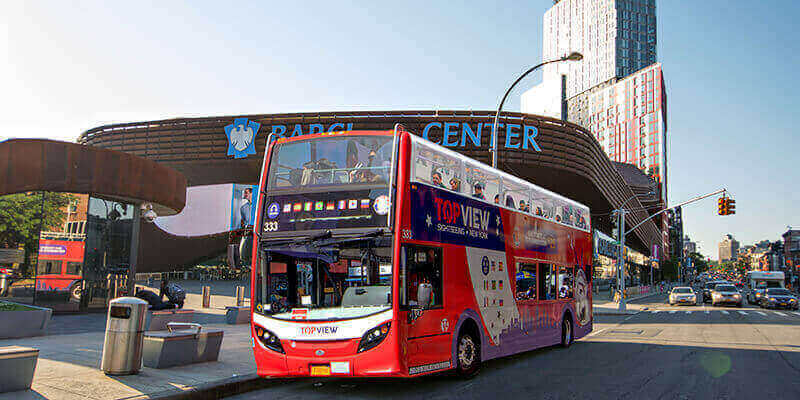 The best way to start your NYC experience is to get an overview of what the city has to offer by taking a hop-on hop-off bus tour. You can enjoy above-the-crowd views while learning about the stories behind the attractions from GPS-guided audio narrations. 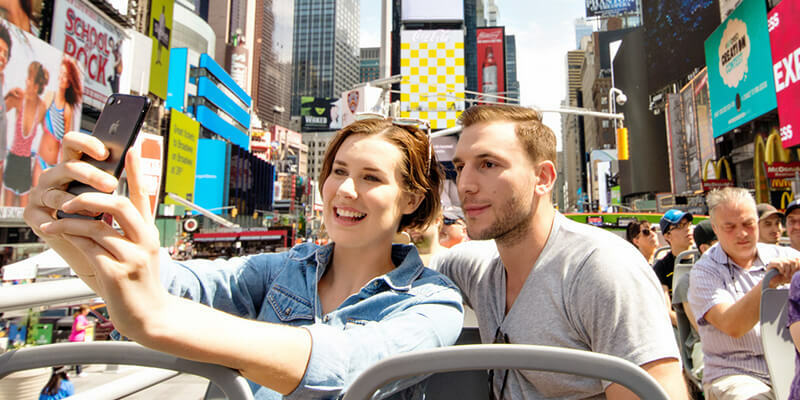 On Day 1, take the Downtown Tour to visit Times Square, Flatiron Building, Macy's, Union Square, High Line, and more. 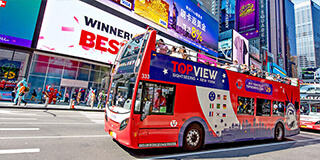 To explore the points of interest further, hop off at a nearby bus tour stop, and when you are ready to continue the tour, hop on the next bus. Seeing the Statue of Liberty is on every NYC visitor's list. 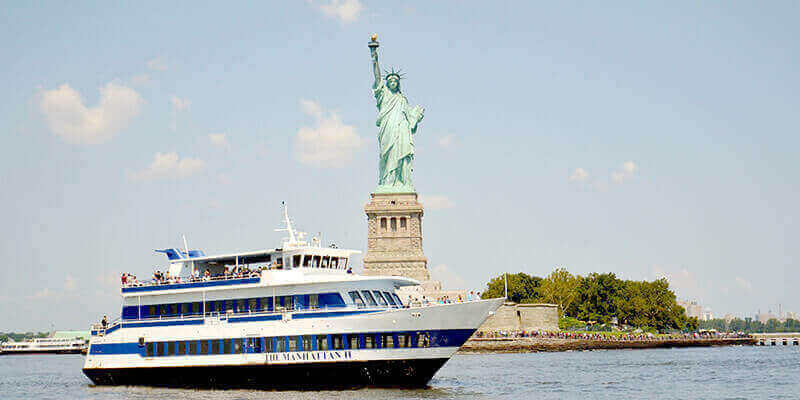 To see the Lady Liberty, the best way is on Statue of Liberty Cruise. The departure point is conveniently located in Downtown Manhattan, and you can get to the pier by walking from Downtown Tour Stop 13. 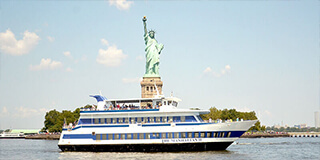 On Statue of Liberty Cruise, you will see the statue along with the Manhattan Skyline, Ellis Island, and New Jersey. The live tour guide on board will tell the best stories of Statue of Liberty and New York City, so your tour will be both fun and informative! Your adventure doesn’t end when the sun goes down. Known as “The City That Never Sleeps,” you haven’t truly seen New York City until you’ve seen it at night. 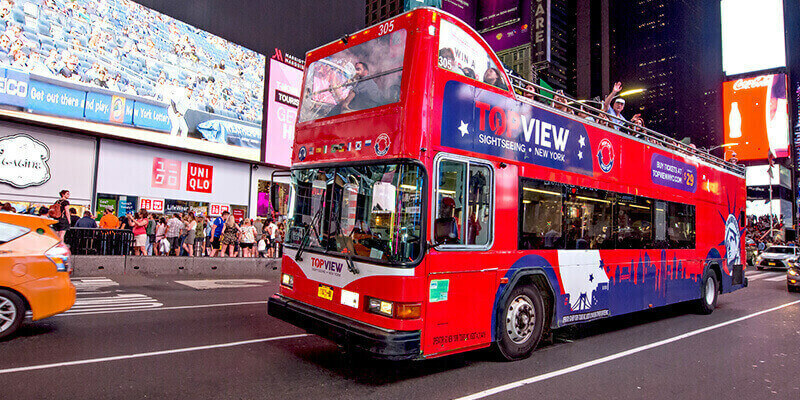 Board our double decker bus under the electric lights of exciting Times Square and relax as you enjoy breathtaking views of Manhattan’s illuminated architecture. After passing through Greenwich Village, Chinatown, and Little Italy, you’ll head across the harbor to Brooklyn. 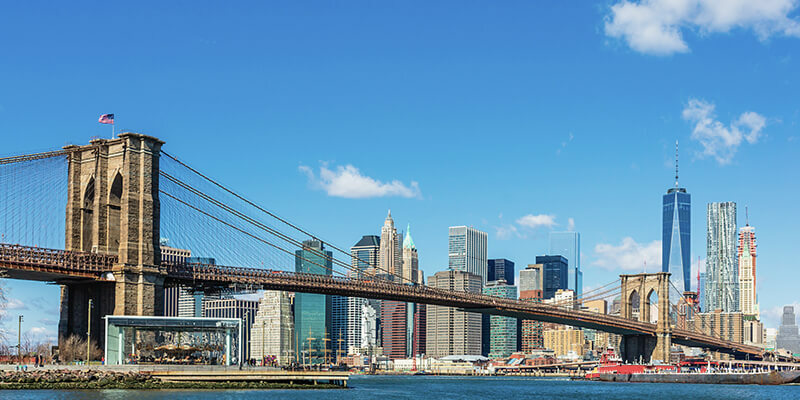 As you traverse the East River, you can take in awe-inspiring views of the Brooklyn Bridge and the dazzling New York skyline. On Day 2, you’ll start by heading north on a tour of Uptown Manhattan and Harlem. 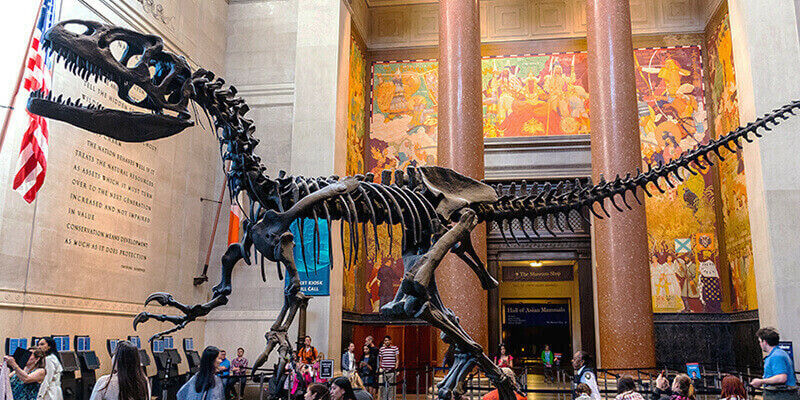 Afterwards, explore the famed American Museum of Natural History and see the amazing oddities at Ripley’s Believe It or Not! On Day 2, it's time to see a different side of New York City. 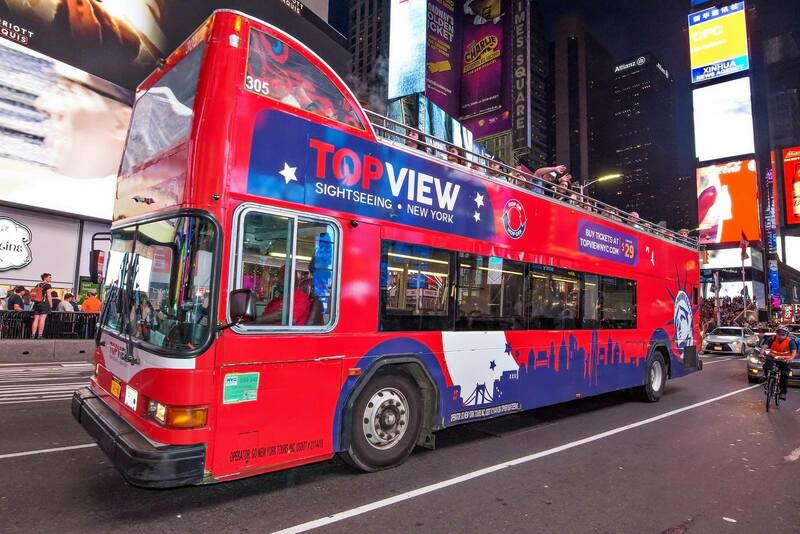 Get away from the hustle and bustle in Downtown, and hop on the Uptown double decker bus tour. On the open-top bus, you will get 360-degree views of Uptown attractions: Central Park, Columbus Circle, Dakota Building, Carnegie Hall, Cathedral of St. John the Divine, and more. The tour also goes through Harlem, where you can learn about the past and present of the African American culture. 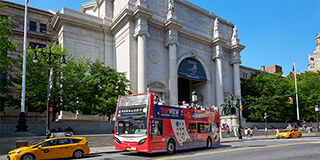 Hop off at Stop 20 from your Uptown & Harlem Tour, you will see the American Museum of Natural History. The museum is one of the largest in the world, and it's a place that appeals to adults and kids alike. Ranging from mammals, birds, reptiles, to fish, from oceans, the earth, to space, the museum prides itself for the diversity in exhibits. 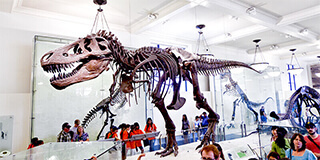 One of the must-sees is the dinosaur collection, in which you will find fossils of Barosaurus, Tyrannosaurus rex, Stegosaurus, and many more. The museum is also the site for the film Night at the Museum. After you return to Midtown, visit Ripley’s Believe It or Not!. Located in Times Square, Ripley's is a fun, family-friendly escape from the hustle and bustle of city life. The expansive 18,000 square foot “odditorium” features a variety of awe-inspiring artifacts, record-breaking recreations, incredible replicas, and exiting displays that will get kids talking. With features like an escape room, a swirling tunnel of lights, and other unforgettable interactive experiences, your family will make plenty of memories together at this spectacular spot. 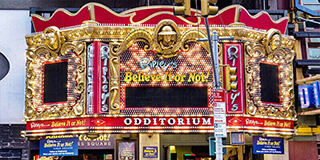 NYC is full of amazing adventures - a visit to Ripley’s is undoubtedly one of them.